Our friends Ed and Joc are former students from Moore College and we also know them from when they came to Barneys as uni students. Joc and I used to run Barniccles together – our program for 3-5 year olds. Joc was living at Women’s College and our neighbour. 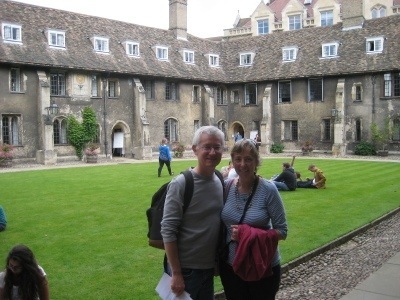 On Monday, Ed took us into Cambridge and we did the Colleges crawl. Ed is enrolled in a Ph D at King’s College and has been here for almost a year. We soaked up the history of the place. Entering into each college is an amazing experience. I am sure it is a bit like entering Narnia through the cupboard door. From the outside, all you see is a door in a wall, but once you pass through them you are in a completely different world. The sounds change – it becomes quiet and this world opens up before your eyes that you had no idea existed on the other side of the world. 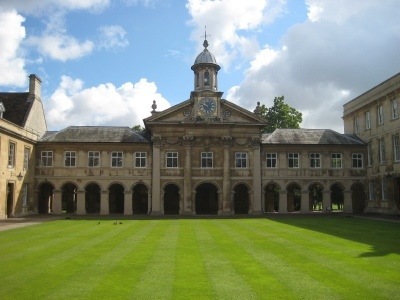 Emmanuel College was the “nursery” for many Puritan ministers. 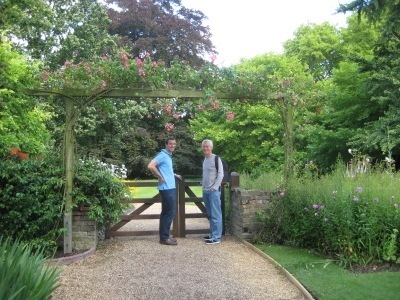 Keith and Ed had fun looking for the names of people they knew – I soaked up the gardens, the flowers, the vibrant greens and lush colours. 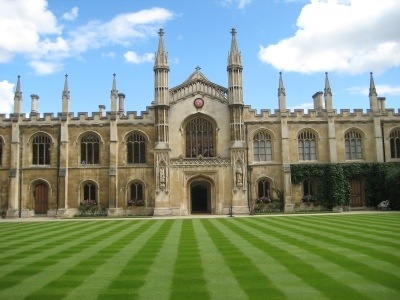 There was one College that held a particular interest for me, as this is where my father studied – Corpus Christi. 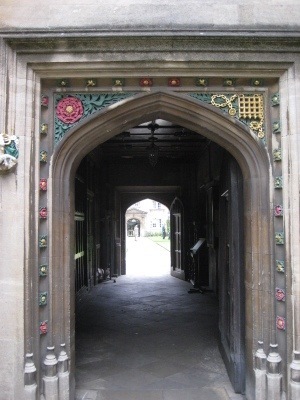 Its Old Court dates from the 1350s, and is the oldest enclosed medieval court in Oxford or Cambridge and became a prototype which set the pattern for subsequent college courts. It is particularly beautiful. I managed to get in for free here, as Ed told the Porter that my father was a former student. 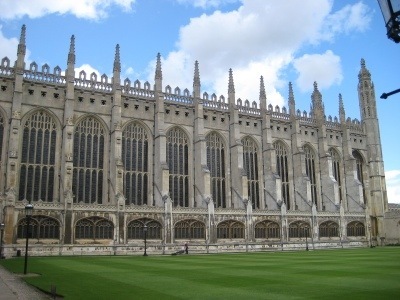 Ed took us to lunch at King’s – his College. We had turkey for lunch, which made me laugh as my friend Rhonda had Christmas in July last week and still has turkey coming out her ears and is trying to creatively use up the remnants. The prettiest College is Queens’. 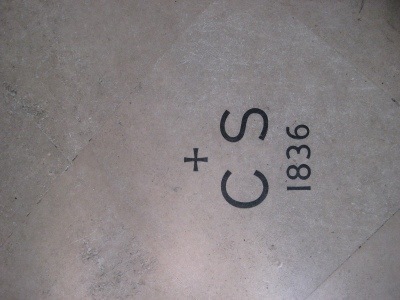 This entry was posted in Gardens, Travelling and tagged Cambridge, Corpus Christi, King's College, Queens' College. Bookmark the permalink. You will absolutely love it,especially if you love soaking up history! 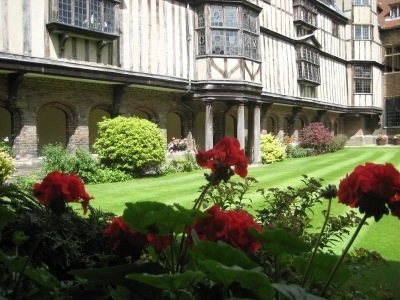 Will you be staying at Tyndale House?